Surgical steel ear wires. 3/4 in. 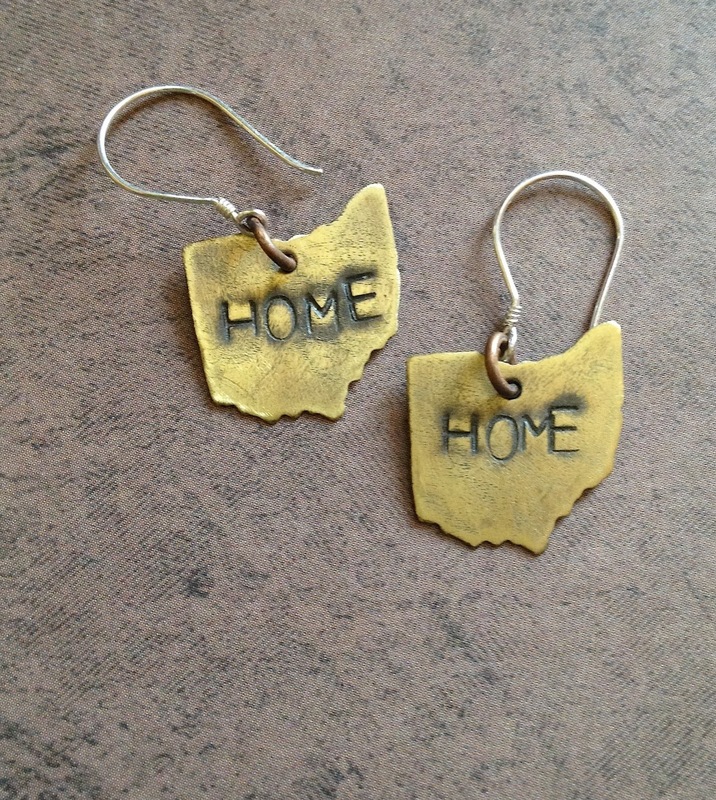 Brass Ohio hand stamped design.